In Iraq, he had an unhindered view of the Army’s operational arm and saw it was a professional, disciplined force that could succeed in a challenging environment. Arriving at the Pentagon in 2007 as the new Army chief of staff, his first order of business was to take a hard look at the institutional side of the Army—its training and school systems, family support systems and budgeting apparatus—and figure out how to reorganize and stabilize the service for the future. “While I was very pleased with the fabric and the caliber of the men and women I saw out there (in Iraq) … I had questions in my mind about whether the … business side of the Army had adapted rapidly enough to keep pace with the changes that we saw were going to be necessary for the Army to be relevant in the 21st century,” he said. Sustaining soldiers and families was at the top of his to-do list. In his first four months on the job, Casey and his wife, Sheila, embarked on a worldwide tour of Army installations to meet with soldiers and military families to get a sense of what the Army could do to better support them. “This was right after we had announced the surge and right after we had gone on 15-month deployments and what I saw was an Army that was really stretched,” he said. Growing up in a military family, the motto in the Casey household was always, “Make the best of it.” It was the mindset they used to deal with the uncertainty, dread and loss that often comes with life in the military. After meeting face-to-face with spouses and troops, he felt like the Army’s families were, at that point, the most brittle part of the force. In addition to increasing dwell time under Casey’s guidance, the Army doubled the amount of money it spent on family programs, boosted resilience training and created Survivor Outreach Services, which provides long-term support for surviving families. SOS offered the support that wasn’t available to the Casey family when George Sr., an Army major general, was killed in a helicopter crash in Vietnam in 1970. While Casey’s tenure as Army chief is marked by transformation and a rebalancing of the force, the professionalism of the branch remains. “The values that we stand for are still there and are still consistent,” he said. In addition to revamping the way it supports its soldiers and families, the Army revised its doctrine in 2008—the first time the service’s overarching document for guidance and direction had been updated since 2001. While the doctrine might seem boring and unimportant to some Americans, it’s the document that lays the framework for the Army’s future and, ultimately, helps ensure the safety of citizens who aren’t even aware of it. 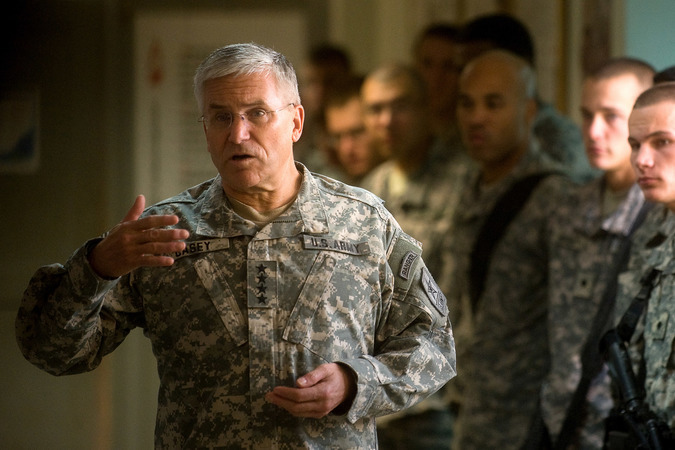 Casey said revising the Army’s doctrine was the most important long-term change instituted during four years he was the service’s top officer. –Chad Stewart is the senior editor of On Patrol.